We also loved making movies and fools out of ourselves, so we decided to create our own Harry Potter musical parody films. We ended up doing this three summers in a row, culminating in a full-on, donation-based, big-screen premiere where we raised money for charity — complete with an after-party and cake. Each summer when we sat down together at Caribou coffee to write the script, we knew we didn’t have time to agonize over every detail. We only had about eight weeks to write the script, assign roles to our friends, put together a filming schedule, compile all the footage, edit it, and plan the premiere. So when it was time for scriptwriting, we often had to go with our first instinct on everything. Were these movies terrible? Depends on who you ask. If you’re into Disney, 90’s pop culture, musical theatre and, of course, Harry Potter, you probably thought they were fantastic. 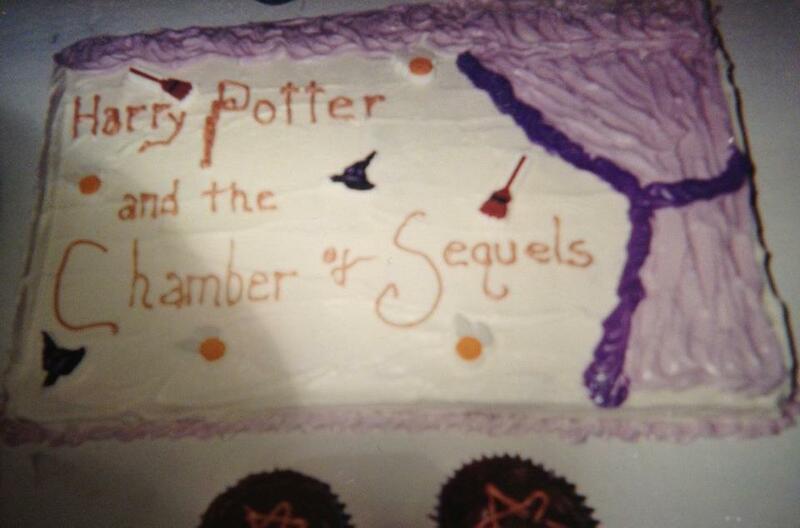 If not, and someone had managed to sucker you into attending one of the premieres, you’d probably feel as if a Death Eater had put the Cruciatus curse on you for two hours (#sorrynotsorry). And if I’m totally honest, while we did have some superfans, there was a lot of restlessness in the crowd at each premiere, and more than a handful of people who were just there to support us and all of the hard work we put in. I mean, it was a whole hell of a lot of work. Of course, if we’d given ourselves more time, we could have drawn on the creativity of the various friends we’d cast in these roles. We could’ve considered our audience more — what would they find funny? Will they have enough fandom to understand this joke or that reference? Is this callous, offensive, underbaked or overbaked? Obviously, my friend and I were teenagers, not a professional production team (although, shout-out to Amy, she’s actually a professional film editor in L.A., having most recently worked on a Netflix series called The Umbrella Academy). Given the limited knowledge, time, and technology that we had at the time, I think we did a really great job. Cliched hype: Just $99, but hurry, it’s for a limited time only! Overdone puns: Spring into savings! This summer’s deals are hot! Fall in love with our prices! ‘Tis the season for some shopping! I don’t think people who produce work like this are trying to create bad copy. I do think, however, that they’re usually going with their first idea — which is to write “something that sounds like an ad”, based on ads they’ve heard before. And your first idea (unless you’re a genius or a teenager making Harry Potter films on time constraints) is almost never the right one to go with. Where Do First Ideas Come From? Here’s my hypothesis. Our first ideas are the obvious ones, the instinctive ones, the ones we draw from past experience and the mental connections we’ve made. They’re also the ones we use when we’re pressed for time, which might be the reason there’s so much bad copywriting and design out there — harrowed freelancers and creative teams rushing to meet deadlines. 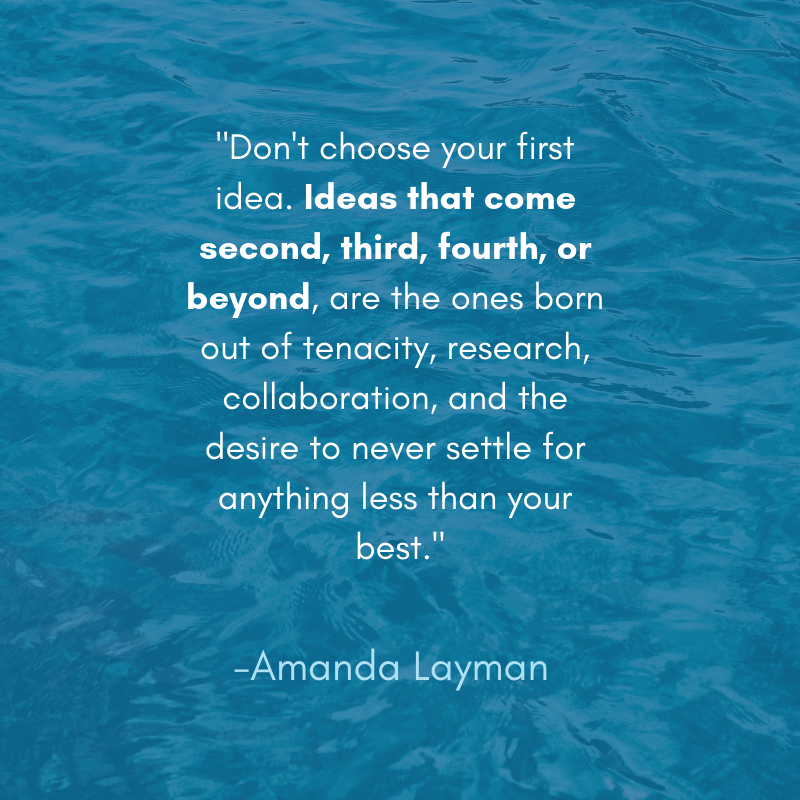 Ideas that come second, third, fourth, or beyond, by contrast, are the ones born out of tenacity, research, collaboration, and the desire to never settle for anything less than our best. Unless you’re a genius or you have an incredible amount of experience in your field, your second and subsequent ideas will always be better than your first. They’re the hardest ideas to come up with, though. Why? When you push yourself to look beyond your first idea, you have to start engaging more than instinct — you have to engage logic, actively make connections, and consider the validity others’ ideas. You have to turn off your bias toward your precious first idea. When you work with a team to share ideas, you have to open yourself up to rejection, and the possibility that your ideas need improvement. But this is exactly where you want to be when you’re doing something creative. When you’re comfortable, at best, you create something pretty good that’s probably been done before. At worst, you fall back on cliche and overdone tropes. When you’re pushing your own boundaries into the unknown, you make room for originality. When you join forces with other experts in your field, you’re getting access to a whole wealth of diverse perspectives and connections. Take your first idea and make yourself create 3-5 new iterations of it. Go faster. Instead of toiling over one concept, make yourself list one hundred concepts as quickly as possible — no matter how ludicrous they are. Crowdsource it. Go to a handful of colleagues who adore you and ask, if it were them, which direction would they go? See if it’s been done. Scour the web to see if it’s been done before. How can you do your thing differently? What unique perspectives do you have? What If My First Idea Is My Best? The quality of our first ideas ranges dramatically based on our experience with a topic. If you’re a piano genius and you have to come up with a song on the spot, your song will probably sound far better than someone who’s never touched a piano. The better you are at something, the better your first attempts will be — and the more profound your first ideas will be. Ask yourself, and be honest, am I an expert in this area? It should go without saying, but many people tend to overestimate their expertise in low-knowledge areas (“I’ve read a few books/watched a couple of docs on it”) and underestimate our expertise in high-knowledge areas (“I’ve been in this field for 10 years”). If you’re an expert, you can afford to go faster — and you can probably afford to trust your intuition when you’re working with first ideas. But even if you are an expert, I’d still suggest that opening your idea up to advice and feedback from others, some in your field and some not, may be exactly the spark that gives your idea a unique edge. And, I’ll leave with one caveat. It’s always better to get it done than to get it perfect. So if you have the luxury of time on your side, push yourself to think deeper. If not, do your best, and do better next time.